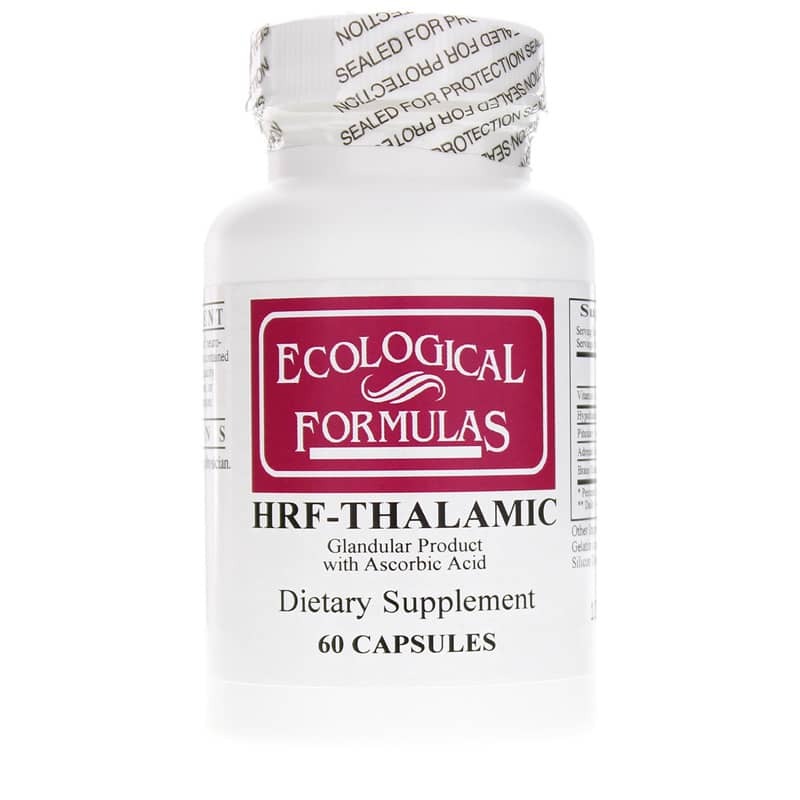 HRF-THALAMIC from Ecological Formulas contains a complete range of neuro-peptide glandular concentrates. 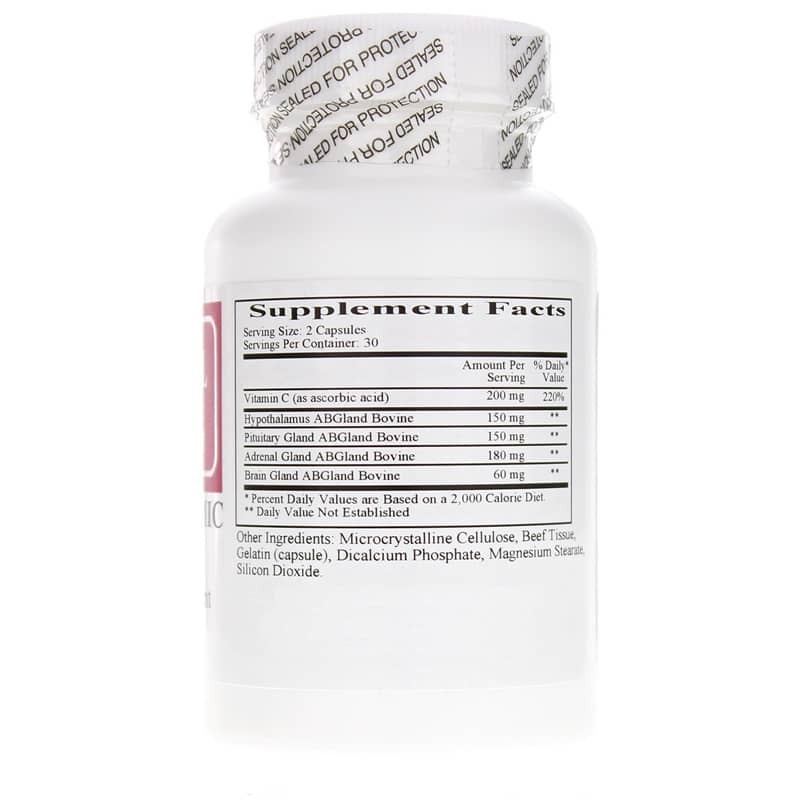 The freeze-dried extracts are processed with natural proteolytic enzymes to obtain a high potency precipitate from the glandular substrate. 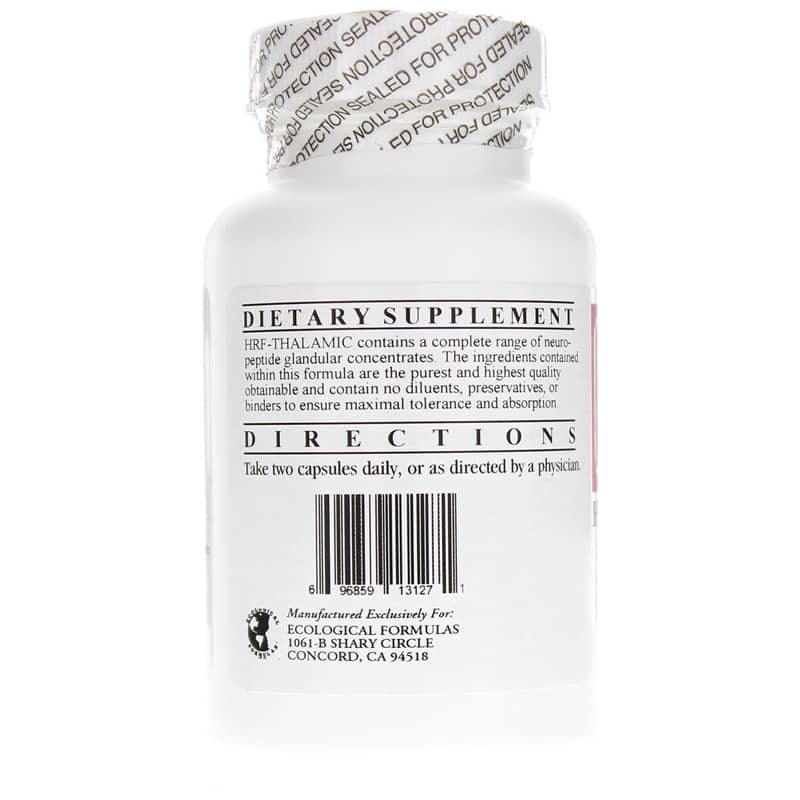 The ingredients contained within this formula are the purest and highest quality obtainable and contain no diluents, preservatives, or binders to ensure maximal tolerance and absorption. Other Ingredients: microcrystalline cellulose, beef tissue, gelatin (capsule), dicalcium phosphate, magnesium stearate, silicon dioxide. Adults: Take two capsules daily, or as directed by a physician.